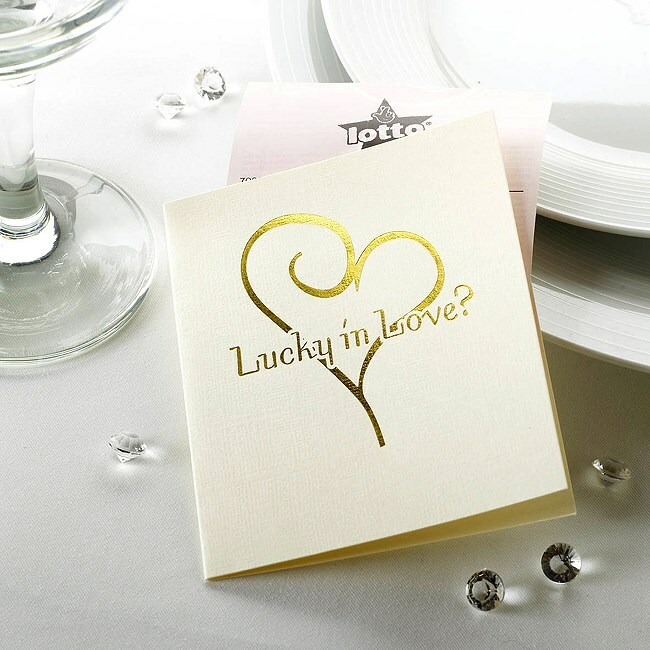 For a great alternative wedding favour idea try these contemporary heart design lottery card envelopes. Each envelope will hold either a scratch card or lottery ticket and one of your guests could be a ' winner '!!. Why not co-ordinate them with other products in this popular range to give you the perfect wedding table? Size 9cm wide x 10.5cm high when folded.